Zaida Lorene (Swain) Heistand was born on July 1, 1924, to Harry and Frances (Perrin) Swain in Pisgah, Iowa. Lorene attended elementary and junior high school in Pisgah. In 1939 her family moved to Woodbine when her father opened up the Ford Dealership. Lorene graduated from Woodbine High School with the class of 1942. She was the steward for this class for many years and was very involved in their alumni activities. After high school, she worked for her father at the dealership forever cementing her love of cars and fixing things. She always had a tool box handy. On February 14, 1948, Lorene married Arnold Heistand. They farmed outside of Logan after they were married. In 1954, they moved to their farm south of Woodbine where they lived for many years. Arnold and Lorene welcomed two children to their family – Mark and Mary. They were so very loved. Lorene worked with Arnold in the Swain Realty offices for many years. She loved being a wife, mother and grandmother. She also loved Creighton University Men’s basketball and the University of Nebraska football. And she loved her fur babies Minnie and Mickey. Lorene will be forever remembered as serving others. She volunteered many hours at the Rose Vista Nursing home and received many awards for this. She was instrumental in starting the sing along group on Tuesdays. She was a wonderful singer and sang many solos at church as well. She also volunteered many hours at the Woodbine Meal Site. Lorene was always willing to lend a hand or kind word to any one who needed it. 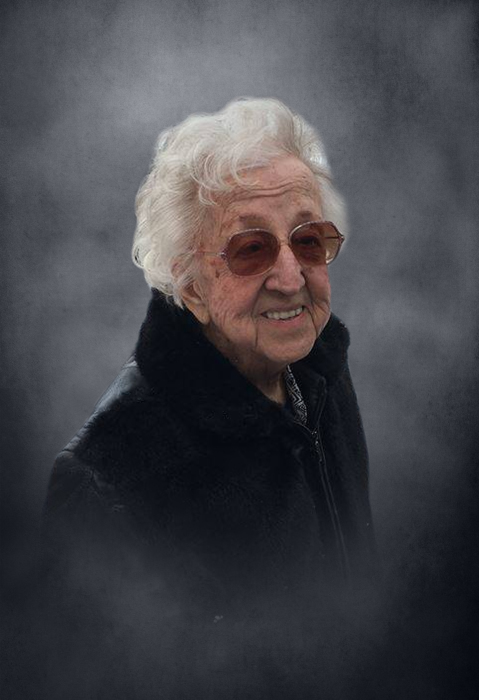 Lorene passed away on January 22, 2019, at the Rose Vista Nursing Home at the age of 94 years, six months and 22 days. Lorene was preceded in death by her parents; husband, Arnold; daughter, Mary; brother, Royce Swain; and sister-in-law, Jane Swain. She is survived by her son, Mark (Donnell) Heistand; grandchildren; Justin (Julie) Bro, Becky Bro, Madeline, Adrian and Jarred Heistand; great granddaughter, Bailey Bro and many other relatives and friends.